effect, merge video chapters and add video watermark are all can be operated with it. ImTOO MPEG Encoder Ultimate, a multifunctional video and audio converter, can realize conversion from video to video, audio and picture, as well as audio to audio and picture to video, with excellent quality. 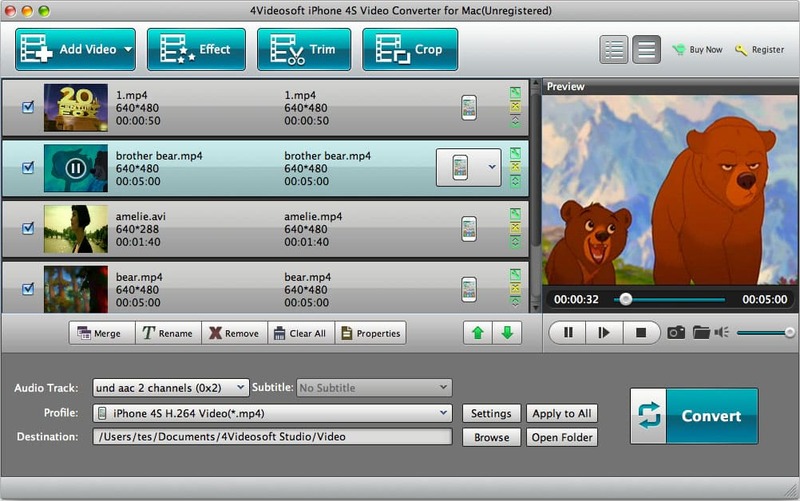 Enolsoft Video Converter is all-in-one video converting program, helps users to convert between any video formats like AVI, WMV, MKV, AVCHD, FLV, MOV etc., allows you to playback any videos on many portable devices like iPad, iPhone, iPod, PSP etc. 4Videosoft iPad 3 Manager,a professional iPad 3 Transfer software, transfers various files such as music, movie, photos, camera roll, camera shot between iPad 3 and computer freely. Also, it helps a lot in converting DVD and video files toiPad 3. Bluefox 3GP MPEG Converter is a versatile and simple tool video conversion software which helps you convert 3GP to MPEG and MPEG 3GP. Now you can view MPEG video with your mobile devices easily.